Viguerie nailed it folks. 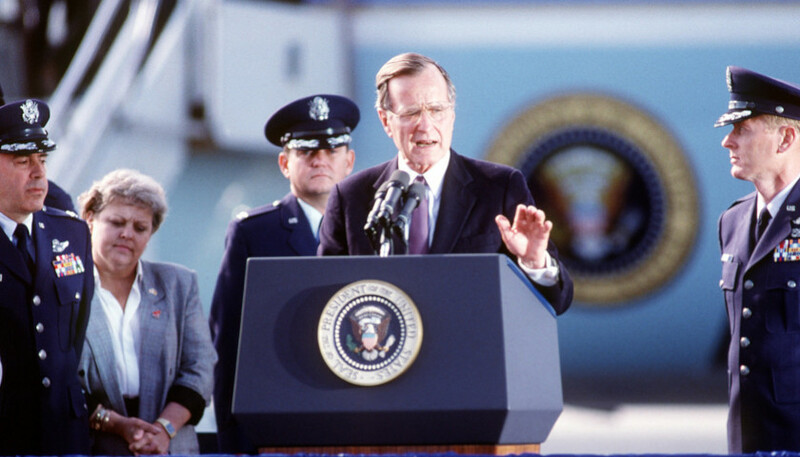 We all thought, in his 1998 Thousand Points of Light speech something was wrong, and when Bush gave his 1991 speech about “The New World Order” and his support for it, how all Reagan’s theory of governing was out the door. There are lots of instances where he moved as far away from conservatism as one could possibly go. Now we set and watch all the praise poured out upon him by the very same media that hated Reagan, him, GW and now Trump. They only pretend to like him now because he’s dead. No Sir, GHW Bush was the father of the Neo Con movement.